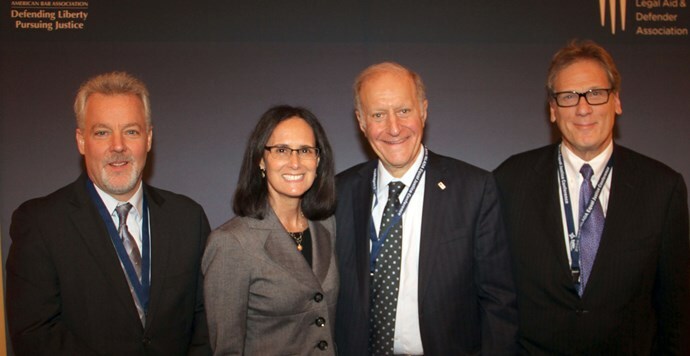 Some officials really stand out for their leadership in the cause, and it is hard to think of anyone who has stood out more than Lisa Madigan as Illinois Attorney General for the past 16 years. Before stepping down from the AG role earlier this month, Madigan made leadership on access to justice issues an integral part of being the Chief Legal Officer for our state, setting a great example for her peers throughout the country. Her leadership in a groundbreaking national foreclosure settlement, support for state funding for the Illinois Equal Justice Foundation, and support for pro bono and legal aid in many other forms are just a few highlights of the impact she made on access to justice while serving as AG. That work was made possible by the impressive team of lawyers and advocates she built in the Office, many of whom will continue to serve under new Attorney General Kwame Raoul. Two of Madigan’s colleagues who made a particularly impressive impact have been recognized by the CBA and CBF for their service with the Richard J. Phelan Public Service Award: Ann Spillane who was Chief of Staff of the Office, and Deborah Hagan, who led the Consumer Protection Division there. Our best wishes to Ann in her new position as General Counsel for Governor Pritzker, where we look forward to continuing to work with her, and to Debby on her recent retirement. And congrats and thanks again to now former Attorney General Madigan for her commitment to access to justice. We know she will continue to be an exemplary leader for the cause in her next act.